Peugeot's leasing offer for the 208 was too good to pass up. FRANKFURT -- PSA Group fired three of its top managers in Germany after a sales campaign led to thousands of Peugeot 208 cars being sold at more than 40 percent off their list price, Automotive News Europe sister publication Automobilwoche reported. In a cooperation with Sixt Leasing and Internet provider 1&1, Peugeot had offered its 208 subcompact at a monthly leasing rate of as little as 99 euros, an offer that was far more successful than expected. Rather than the 300 planned sales, a German media report suggested as many as 5,000 cars were leased under generous conditions, which included full insurance coverage and road tax. This prompted criticism from the carmaker's German dealers, who were not willing to match the offer, given PSA likely took a loss on the business. 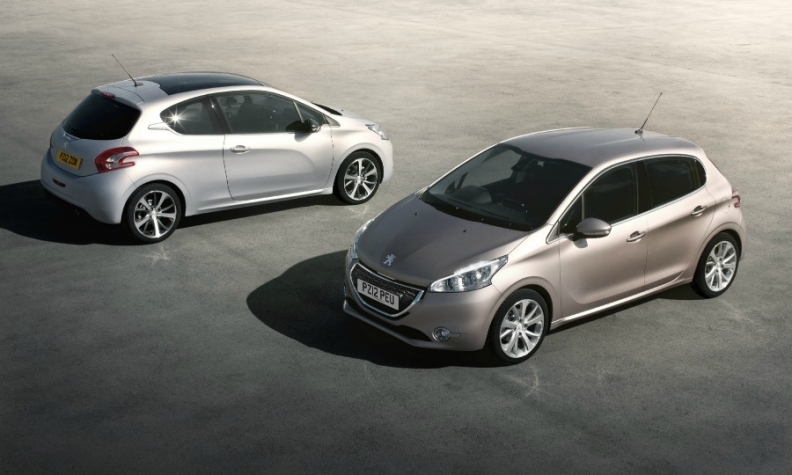 Sales of 5,000 units would represent almost twice the amount of new 208s sold in Germany in the first quarter. Registrations of the model were 2,749 cars in the quarter, a drop of nearly 13 percent, according to data from the KBA German motor vehicle authority. On Friday, the offer was prematurely withdrawn and PSA said three managers were immediately leaving the company. These were Peugeot Germany's managing director Benno Gaessler; Peugeot-Citroen's head of business to business Holger Boehme; and the Germany head of the brand's leasing business, Olivier Ferry. "Until the vacancies are filled, the responsibilities will be managed on an interim basis by Alberic Chopelin, the General Director in Germany of the Peugeot, Citroen and DS brands," PSA said in a brief, two-sentence statement on Wednesday. In the first three months, Peugeot brand registrations in Germany increased nearly 20 percent to 15,122 vehicles, translating to a market share of just 1.8 percent. A spokesman for PSA's German operations could not be reached for comment.